Cassini offers this lovely comparison between two of Saturn's satellites, Dione and Tethys, which are similar in size but have very different surfaces. 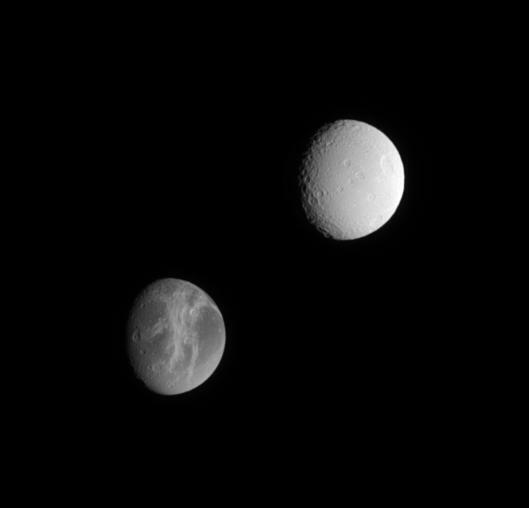 Extensive systems of bright fractures carve the surface of Dione (1,118 kilometers, or 695 miles across). The double-pronged feature Carthage Linea points toward the crater Turnus at the nine o'clock position near the terminator, and Palatine Linea runs toward the moon's bottom limb near the five o'clock position. In contrast, the surface of Tethys (1,071 kilometers, or 665 miles across) appears brighter and more heavily cratered. The large crater Penelope is near the eastern limb. The huge rift zone Ithaca Chasma, which is 3 to 5 kilometers (2 to 3 miles) deep and extends for about 2,000 kilometers (1,200 miles) from north to south across Tethys, is hidden in shadow just beyond the terminator. For comparison, the Grand Canyon in Arizona is about 1.5 kilometers (1 mile) deep, and about 450 kilometers (280 miles) long. 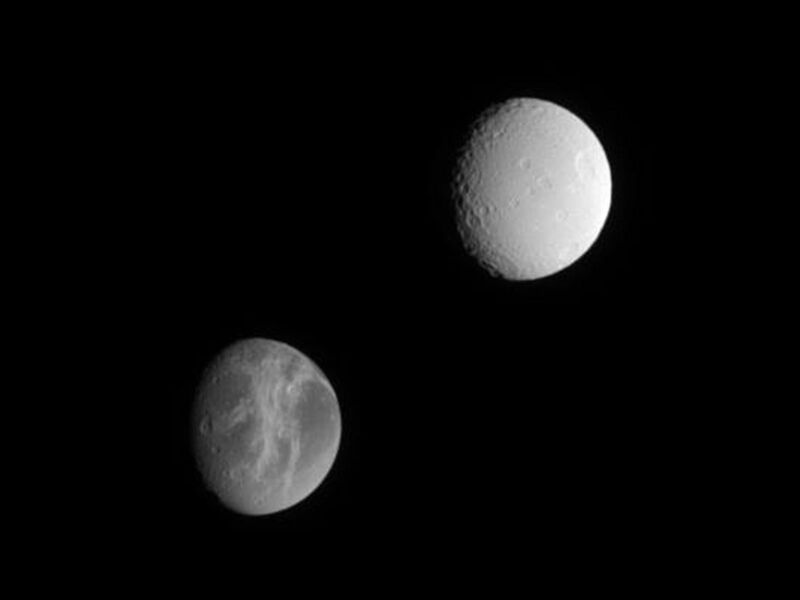 The image was taken in visible light with the Cassini spacecraft narrow-angle camera on March 7, 2005, at a distance of approximately 1.5 million kilometers (908,000 miles) from Tethys and 1.6 million kilometers (994,000 miles) from Dione. 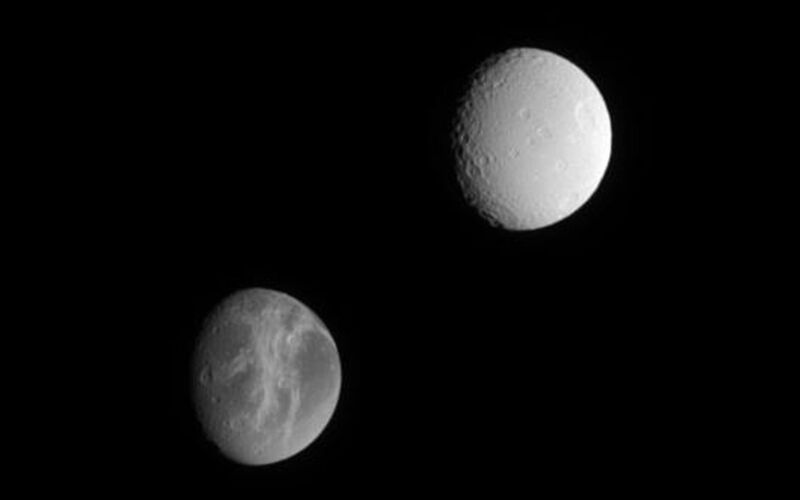 The image scale is 9 kilometers (6 miles) per pixel on Tethys, and 10 kilometers (6 miles) per pixel on Dione.